Glenmorangie head of whisky creation Dr Bill Lumsden says he would love to bring back the company’s discontinued – and much-missed – Bailie Nicol Jarvie (BNJ) blend. 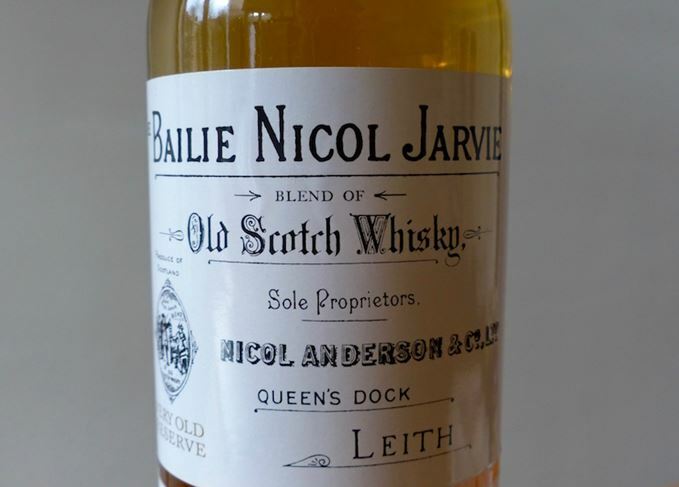 Much-loved label: BNJ was said to have the highest malt content of any blend. BNJ – which had a malt content of 60%, claimed to be the highest of any Scotch blend – was last bottled about 18 months ago, and was a casualty of the LVMH-owned company’s focus on single malt brands Glenmorangie and Ardbeg. Lumsden told Scotchwhisky.com in an interview last week that both distilleries are running flat-out after Glenmorangie sales climbed to 500,000 cases, and Ardbeg sales hit 100,000 cases. ‘It’s malts only, although at some stage I would like to think that perhaps we could see the return of BNJ or something like that – we still own the brand,’ Lumsden said. However, he added that most of the aged malt stocks used to produce BNJ had been sold off since the product was discontinued. ‘We had some real cracking whiskies, we had lots of wonderful, top-class malts from Diageo,’ he said. ‘We had Mortlach, we had Benrinnes, we had Linkwood, we had Mannochmore. Lumsden denied that the company’s focus on Glenmorangie and Ardbeg was evidence of a ‘malts better than blends’ philosophy. ‘No, I mean it’s tricky to say that,’ he said. ‘They’re different products for different occasions. I’ve recently gone back to occasionally drinking blended Scotch whisky. You can read the full Scotchwhisky.com interview with Dr Bill Lumsden here.